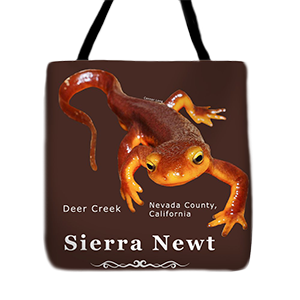 California and Sierra Newts are native to California. In winter and spring, Sierra Newts in Nevada County respond to an over-powering urge – to return to the pond or stream where they were born. Hormones cause this migratory breeding behavior, known as water drive. (The hormone, prolactin, is also responsible for human breast milk production.) 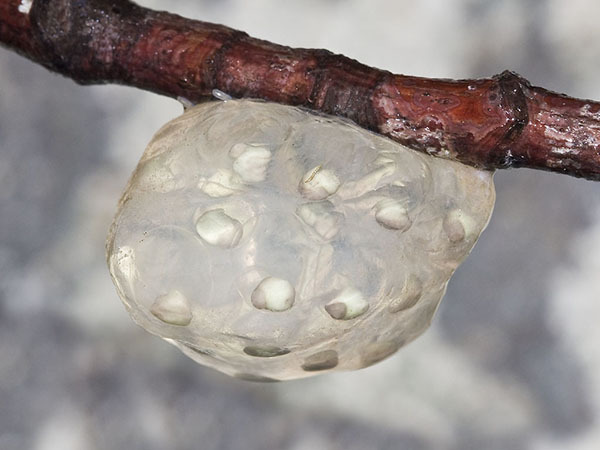 The migration begins with travel and ends in a submerged ball-like embrace with a female (amplexus). On its mating journey and throughout its twenty-year life, the only form of defense that the newt possesses is its skin. The skin contains tetrodotoxin, a neurotoxin. “This neurotoxin is strong enough to kill most vertebrates, including humans,” – Wikipedia. Newts are one of the most toxic animals in the world. But the toxicity of the Sierra Newt is nothing to worry about when handling this interesting and delicate creature. It’s only dangerous if you eat it! 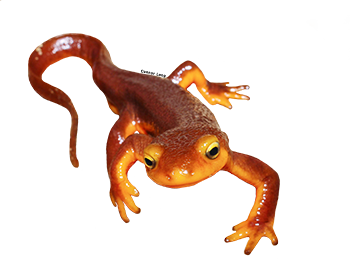 “Scientists have tested 30 potential predators of newts, from belted kingfishers to great blue herons to bullfrogs and fish, finding in every case that the newt killed them,” writes Lynda V. Mapes, Seattle Times staff reporter.